This post examines which Santa Clara County adults are more likely to be fans of the A’s. In general, older adults are more likely to be sports fans. This was true with the 49er’s (see last week’s post) and is true with the A’s. However, the MTV generation joins the top group among A’s fans. The index measures the relative share of the demographic group that is described the characteristics,in this case the fan of a sports team. The index equals the share of persons in the demographic who fit the description divided the share of adults 18+who fit the description . An index of 100 is the average score for Santa Clara County. Scores greater than 100 are above average and scores less than 100 are below average. Source of data: International Demographics, Inc., San Jose, Ca., The Media Audit ™ Survey, fielded June 25 through July 30, 2008 and October 30, through December 30, 2008, 1,298 total telephone interviews of Santa Clara County adults 18+ approximately evenly distributed between the two time periods. This map shows the difference by Oregon county in two-party vote percentage between U. S. Senator Gordon Smith and Presidential nominee John McCain in 2008. The deeper the green, the better Smith did as compared to McCain in 2008. 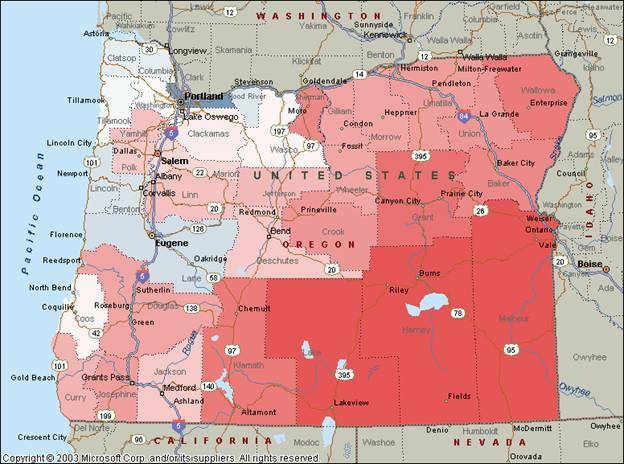 This map shows the difference by Oregon county in two-party vote percentage between George W. Bush in 2004 and John McCain in 2008. The deeper the green, the better Bush did in 2004 compared to McCain in 2008. This post examines which Santa Clara County adults are more likely to be fans of the 49er’s. Older adults are more likely to be sports fans. Younger adults are slmost entirely at the bottom of the list. 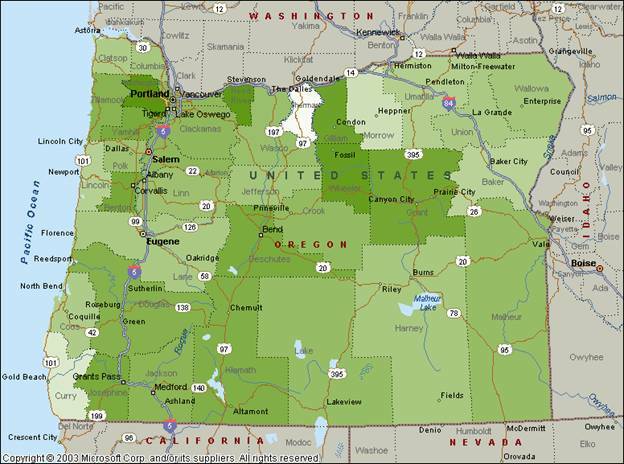 This map shows the relative support for Senator Gordon Smith and challenger Jeff Merkley in the 2008 Presidential contest by Oregon county. 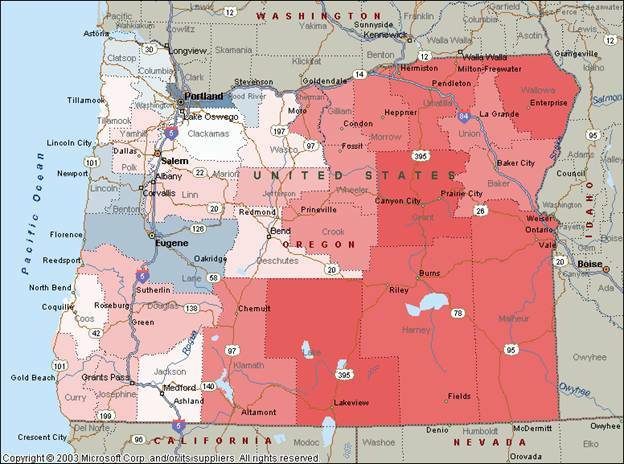 Note that this map generally follows the 2008 partisan registration differences. 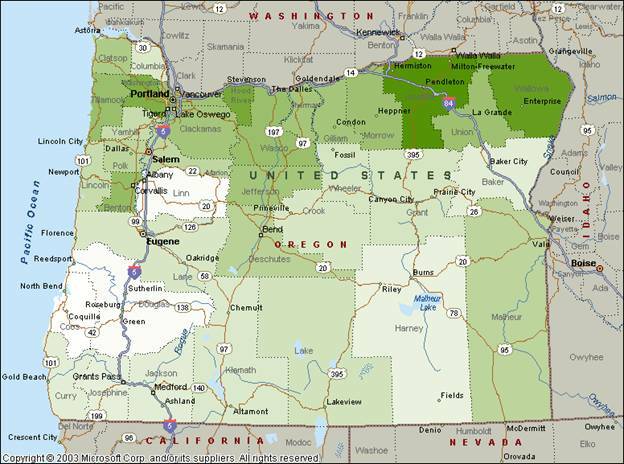 This map shows the relative support for Barack Obama and John McCain in the 2008 Presidential contest by Oregon county. Note that this map generally follows the 2008 partisan registration difference. A’s fans tend to be relatively more Democratic. Also, active voters are more likely to be sports fans. To be counted as voting, the person reported voting in one or more local, state, or national election during the past year. Note that since the surveys were completed six months apart, seasonal effects are mitigated. This map shows the counties with the greatest Republican stability. The lighter the green the greater the drop in net Republican registration percentage. Comparing this map to the registration by county map, the Republicans generally lost the most ground in the more Democratic and more swing areas of the state. The net Republican registration percentage equals the percentage of voters registered as Republicans minus the percentage of voters registered as Democrats. 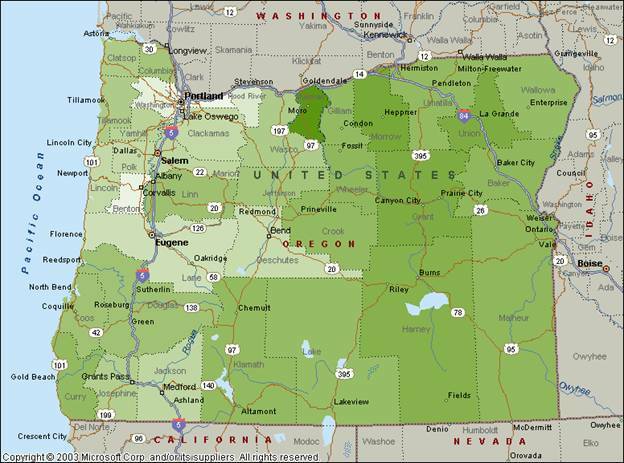 This map shows the relative registration differences by Oregon county. Blue is more Democratic and red is more Republican. A future map will show the change between 2004 and 2008 by county. The registration difference equals the percentage of voters registered as Republicans minus the percentage of voters registered as Democrats. 49er’s fans tend to be relatively more Republican. Active voters are more likely to be sports fans.